You don’t have to visit the Big Easy to enjoy its legendary Cajun and Creole flavors. Plan your Mardi Gras party with these classic recipes for appetizers, drinks, main dishes, and desserts. You don’t have to visit the Big Easy to enjoy its legendary Cajun and Creole flavors. With these Mardi Gras recipes for appetizers, drinks, main dishes, and desserts every day can be a party! Try classic Mardi Gras recipes like shrimp étouffée, jambalaya, or red beans and rice or fix something unexpected for a group of party guests like warm gumbo dip or stuffed catfish filets with a spicy rémoulade. No collection of Mardi Gras recipes would be complete without cocktails and sweets. Mix up a NOLA sipping staple, the sazerac, for an authentic touch to your get together. And don’t forget to bake up our favorite King Cake recipe. It’s one of our staff’s all-time favorites. But don’t stop there. We have even more great ideas to explore for Mardi Gras recipes. Nothing screams spring in New Orleans quite like a crawfish boil. The smells of fresh ground hot cayenne pepper, entire heads of whole garlic cloves, smoky paprika, simmering onions, and roasting thyme combining in the humid Louisiana air are a sure-fire sign that spring has sprung, and that Mardi Gras is right around the corner. Although we love an outdoor crawfish boil, sometimes it’s hard to set up the necessary stock pots and open burners in your backyard – especially if you don’t have a backyard in the first place. That’s why we’ve perfected the art of a stovetop crawfish boil. Experience the longtime Cajun tradition in the comfort of your home, and have spicy boiled crawdads for dinner! Entertaining columnist Julia Reed found this recipe by Maurice Moore-Betty in a late-1970s issue of House & Garden while she was still in college, and she's been making it ever since. Moore-Betty was an Irish-born author, cooking teacher, and all-around lovely man who advised many a prominent Manhattan hostess. This dish is essentially shrimp Creole with the addition of curry powder, which elevates it by a surprising degree. Beginning with basic shrimp Creole spices like bell peppers, onions, tomato puree, cayenne pepper, and garlic, the classic Creole flavors combine with two scoops of curry powder for a surprising twist. Serve over rice, accompanied by a simple green salad. Andouille is a classic southeastern Louisiana ingredient – the best of this spicy pork sausage kind can be found in the produce stands that line highways down in the lower portions of the state. This classic Cajun gumbo makes enough to please the crowd of out-of-towners that ascend down to the Louisiana boot during the weeks leading up to Mardi Gras. Make it ahead of time, and stock your freezer with the rich Cajun gumbo. Test Kitchen Tip: Use empty cereal boxes to save space. Line an upright box with a zip-top bag (just like you’re lining a trash can). Carefully fill the zip-top bag, and freeze the liquid while still in the box to hold it in a flat shape. Once frozen, remove the bag from the box and stack. Thaw in the refrigerator or over a low simmer on the stove. Étouffée (pronounced ay-too-fay) is French for “smothered,” and this dish is just that – crawfish smothered in a creamy, rich sauce that you can only get in Southeastern Louisiana. Crawfish Étouffée is about the second-best way to prepare crawfish, the first, of course, being boiled over a hot gas stove. Many Louisianans look forward to having leftover tails from their crawfish boils to make this rich, flavorful meal. Full of flavor, the sauce combines paprika, pepper, thyme, cayenne pepper, poblano peppers, onions, celery, garlic, and flour in a thick, creamy, roux-like smothering sauce. Crawfish tails are coated in the spicy sauce, and served on top of long-grain, white rice. This dish is perfect for a Mardi Gras supper after a long day of standing outside in chilly parades. One reviewer raves, “I made this over the weekend during a snow storm, and the family loved it. It warmed our tummies and filled us up.” Although you will rarely find a snow storm in southeast Louisiana during Mardi Gras, this recipe is classic for any outdoor gathering. Often made by Church groups of men (known as the Knights of Columbus), jambalaya is best when served from a large, cast-iron pot that makes enough food to feed an army. To recreate this regional favorite on your own, all you need is a slow cooker. Combine spicy Andouille sausage, classic Cajun vegetables, garlic, and store bought Creole seasoning (we love Tony Chachere’s). Traditionally, rice is cooked in the jambalaya liquid, but for this flavorful slow-cooker version, it's best to stir in the cooked rice at the end. Chef Rusty Hamlin feeds the Zac Brown Band members and their fans at big, casual "Eat and Greet" suppers when the band is touring. Here's one of Rusty's favorite dishes, which he serves with Cajun Rémoulade and grits. Stuff crispy fried catfish filets with tender crabmeat, filling breadcrumbs, and as much hot sauce as your heart desires. Top with a spicy classic favorite, the creamy Rémoulade sauce. Chopped vegetables give this sauce great texture, while Creole mustard brings the perfect kick. We know what's going to be dressing our burgers this grilling season! Use any leftovers of this piquant condiment as the secret sauce to your favorite fried fish or burger, or as a dressing for hearty salads and slaws. If you have some leftover crawfish tails but aren’t in the mood for an entrée, this is a unique (and easy!) way to use them. Filled with flavor from a variety of spices, guests will be wowed by the flavor of this simple dish that lets the slow cooker do most of the work. After making this dip, serve it in a slow cooker to keep it warm (and to avoid doing any extra dishes). Set this appetizer out with crackers or toasted baguette slices and watch it disappear at your next party. 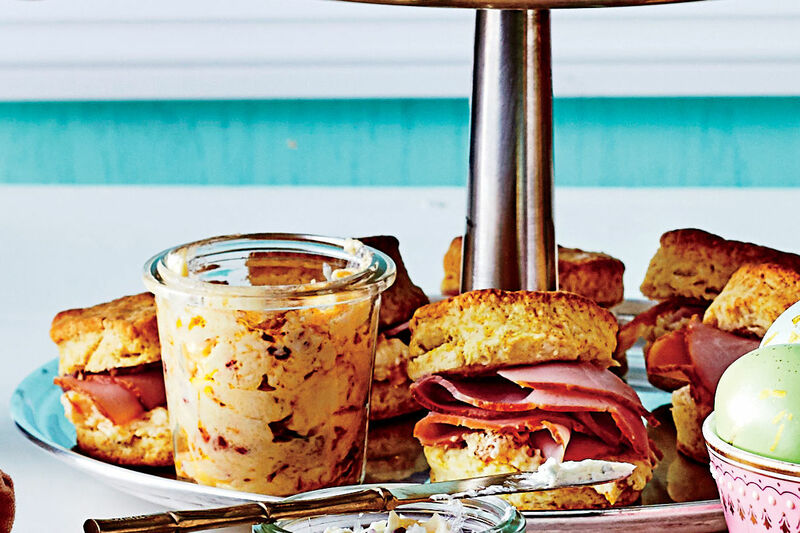 It also makes a great appetizer for a Derby party! If you've never been to New Orleans, you can still get a taste of its cuisine with our recipe for New Orleans Beignets, the official state doughnut of Louisiana. Boiled, smothered in sauce, even served as a dip – any dish that incorporates properly cooked crawdads will be a winner in Louisiana. Rich, savory, and creamy, crawfish bisque is often served in some of New Orleans’s swankiest restaurants as a small starter, but locals know that a bisque done right can constitute an entire and filing meal. Bisque comes in many forms, but none are quite as delectable as when crawfish are added into the mix. The spicy soup begins with a buttery roux, which adds richness with every bite. And don’t forget to add sherry for an added kick. It’s the perfect start to a classic Louisianan seafood dinner. Invented at a New Orleans institution, Central Grocery, the Muffuletta sandwich combines the best of Italian and Creole food into one very filling and very unique sandwich. Central Grocery, opened in 1906, catered to the Italian citizens of the crescent city. Typically, Italian customers ate lunches of bread, salamis, cheeses, and olives – but each ingredient, they ate separately. The owner noticed they were having a hard time carrying all of their ingredients separately, and combined them to make the iconic sandwich. In our version, we made our own olive salad using pickled vegetables and Spanish olives – but you can buy delicious premade jars in stores across Louisiana. Simply load olive salad onto small dinner rolls (with sesame seeds, of course) and add Italian meats and cheeses. Packed with seafood, this classic Creole gumbo is one of our best heart-warming seafood dishes to date. Loaded with lump crabmeat, shrimp, sliced okra, and Andouille sausage, this gumbo is certainly not lacking in flavor. The more spices, the better. The genius of this menu item is that, as is the case with all gumbo, it actually tastes better after it sits in the refrigerator for a while. Make it ahead of time, and let the flavors soak together overnight in the refrigerator. Simmering Andouille with the stock lends the base a tasty depth; adding seafood at the last minute means it’s perfectly cooked. Serve over white rice with parsley and hot sauce. Make your party menu memorable with this unique and delicious crawfish recipe. Our “crawdog” recipe is the perfect dish to eat for lunch the day after you serve crawfish étouffée – use your leftovers to make the best hot dog topping you’ve ever eaten. Simply grill some spicy hot dogs coated in Creole mustard, warm up a few fluffy hot dog buns, and then assemble the out-of-this-world hot dogs. Slather on your leftover, heated-up crawfish étouffée, and top with fresh jalapeno slices, diced red onions, and diced plum tomatoes. Next time you cook étouffée, we’re betting you’ll save a few scoops to make these delicious hot dogs. In Louisiana, a “vegetarian” may not eat meat, but he or she will certainly eat plenty of seafood. Because of a state-wide tendency to favor pescetarians, most Louisiana entrees will include meat, either from the land or from the sea. This vegetarian Mardi Gras recipe doesn’t include meat or seafood, for those who choose not to eat both. A riff off the popular red beans and rice dish, these veggie burgers may give up the typical sausage ingredient, but they certainly do not give up flavor. Full of Creole seasoning and vegetables, topped with Creole mustard, and served on toasted bread, these filling burgers offer the same savory flavors that all Cajun food brings. Stirring the rice as it cooks releases the starch that helps hold the veggie patties together. Want to go beyond vegetarian? Top these burgers with grilled shrimp or sausage. Why reserve Gumbo for starters and sit-down meals? Here at Southern Living, we believe that the flavors of good ole Louisiana gumbo can and should be incorporated into every meal possible, even the hors d’oeuvres served as everyone gathers at a house before heading down to the Mardi Gras parade route. This unique warm Gumbo dip combines the best flavors of Gumbo – green onions, celery, bell peppers, shrimp, and okra – into a creamy dip. By chopping the shrimp and combining the flavors with cream cheese and Parmesan cheese, the tradition gumbo flavors turn into a rich and thick dip. Served over buttery toasted French bread slices, this Southern dip will quickly become a party favorite. Master the art of make-ahead freezer meals by stocking up on these weeknight favorites. 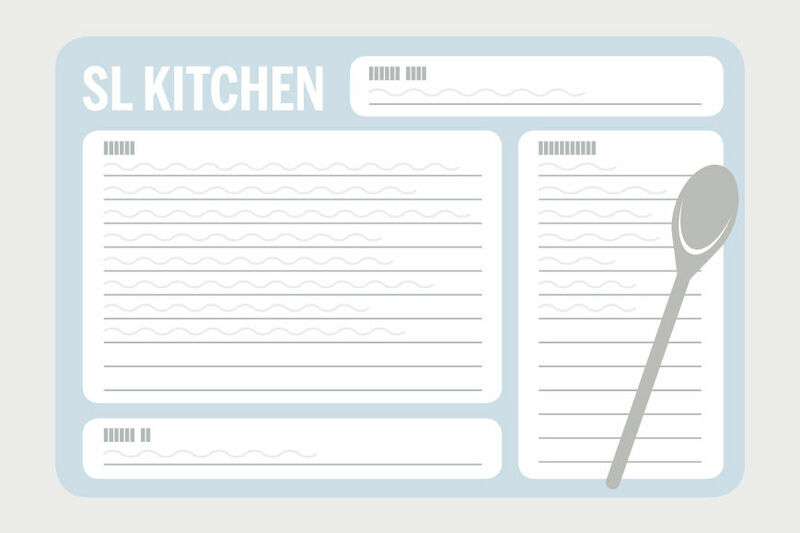 Here, we share recipes (along with a few helpful tips and tricks) that make the most of your greatest kitchen ally: the freezer. Build deep flavors in Jambalaya by sautéing the aromatic trinity of onion, celery, and pepper in the Andouille drippings with herbs, garlic, and spices. Make a double batch of cooked rice to spin this inexpensive staple into countless meals. Cool the rice, portion, and freeze in a zip-top freezer bag. To reheat: Transfer rice to a bowl, and sprinkle with water. Cover with a paper towel; microwave on High 2 minutes. When you read the name of the recipe, you certainly do not automatically assume that it is a healthy dish. However, the ingredients in this rich and hearty supper are not as bad as you might think – if you’re looking for a recipe that will feed a crowd without sending everyone to the tailor shop to have their pants let out, this is your go-to gumbo dish. By browning flour in the oven, you’ll add savory, smoky flavor to your gumbo without the added oil that a roux brings. For the creamiest grits without cheese or butter, try our Slow-Cooker Stone-Ground Grits. The slow cooker creates the creamy side without any fuss or fat. With a light gravy and grits, you can (and should) indulge in the rich Andouille sausage. Okra is a humble but oh-so-beloved Southern favorite. Grown in backyard gardens from one end of the state to the other, okra is served best either fried, or used in slowly simmered soups and stews, and served over rice. Dress up the humble vegetable with this spicy Creole side dish. With mouthwatering flavors of bacon, onions, and corn to compliment the okra, this dish comes together with time saving, frozen ingredients. Seasoned with Creole seasoning, and this dish certainly isn’t short on flavor. One reviewer raves, “Wow... trip down memory lane! This really brings back memories. My mother used to fix this when we were kids.” Serve over rice for a complete meal. Cajun seasoning and fish fry mix make an easy, flavorful breading for fried shrimp. For these Cajun-flavored fried shrimp, peel the shrimp but leave the tails on. Then, soak the shrimp in a spicy marinade of milk, eggs, yellow mustard, and Cajun seasoning. Thoroughly coat the shrimp in fish fry mix to get a crispy brown coating. Leaving the tails on these crispy fried shrimp makes it easier for guests to grab the fried shrimp from a platter. Dip these delicious guys in tartar or cocktail sauce. For more formal occasions, mix a package of shredded coleslaw with a simple dressing as an easy side. Who says that fried rice should only be eaten out of a white paper box from your local Chinese take-out restaurant? We’ve combined the savory flavors of fried rice with the spicy flavors of Creole cuisine for a unique fried rice dish. With classic Louisiana ingredients like chicken thighs, Andouille, bell peppers, okra, and garlic, this Creole recipe is perfect for any leftovers you might have laying around. Chop your Cold rice works best in this recipe. If possible, make the rice a day ahead, and store it in the fridge. If you're in a hurry, follow Step 1 to cool it on a baking sheet. This classic Creole Jambalaya recipe is exactly the spicy, flavorful, and filling dish that authentic jambalaya should be. Sautéed onions, fresh bell peppers, green onions, cooked cubed ham, and Cajun-flavored sausage (or Andouille) come together to flavor this delicious rice dish. The flavorful creole ingredients simmer in tomato sauce so that all the spices can blend together. Cooked rice soaks up the liquid and makes this classic jambalaya complete. For formal occasions, a quick garnish of parsley dresses up this down-home Creole dish. For an authentic touch, serve this spicy jambalaya with a slice of buttered and toasted French bread. Remoulade sauce is a classic French sauce that Louisianans have adapted for their own, by adding their own spicy flavors to the creamy condiment. All remoulades are based on either oil or mayonnaise, and most Cajun or Creole versions add a mixture of mustard powder, garlic, paprika, and Cajun seasonings. Our spicy version is based on mayonnaise and includes sliced green onions, Creole mustard, lemon zest, garlic cloves, and ground red pepper for a spicy and tangy remoulade dip. This spicy sauce will go perfectly with po’boys, fried shrimp, oysters, and crab cakes. Go easy on the red pepper if you’d rather a less-spicy version. This quick and easy vegetable side dish recipe was a Grand Prize Winner from Southern Living. With only eight ingredients, Cajun Corn Maque Choux makes a quick and zesty accompaniment to your Mardi Gras menu. Perfect for keeping on-hand in the refrigerator and pulling out whenever you and your guests need a quick snack that is packed with vegetables and flavor. This Mardi Gras side dish is great served hot or cold. With a mixture of chopped green bell peppers, shoe peg corn, tomatoes, chopped green sausage, and Andouille sausage, this delicious recipe is simple and bursting with fresh vegetable flavor and Cajun spice. Catfish is a favorite Southern recipe, especially in coastal areas like south Louisiana. Take advantage of the fresh seafood that’s available year-round in Louisiana, and incorporate some catfish into your Mardi Gras menu. Fried catfish pleases everyone, even the pickiest eater – this baked version will make meal preparation easier on you, the cook. This oven-fried version gives you flavorful and crispy fish without the oily mess that frying any food inevitably leaves. Coated in cornmeal and Cajun seasoning, this baked catfish recipe will leave you with tender, juicy, and flavorful catfish filets. Serve this not-too-spicy Cajun-baked catfish with your favorite hush puppies and coleslaw. A New Orleans classic gets a Lowcountry makeover in our hybrid (and delicious) Creole Shrimp and Grits recipe. Creole shrimp is just about as New Orleans as it gets, and Shrimp and Grits is just about as Lowcountry as it gets – combined, and you have a classic yet unique dish that captures two favorite Southern regions in one delicious flavor profile. The rich sauce for this Creole Shrimp and Grits recipe starts with a roux, which is browning flour in oil. Be sure to get into the corners of the pan when you stir so the flour there does not scorch. There are many ways to cook Crawfish Étouffée. Some have lighter gravies, and others opt for a richer, butterier sauce that coats the delicate crawfish tails. Here, we have one of the latter varieties – an indulgent étouffée that builds its flavor from a rich base of butter and flour. This restaurant-quality, creamy supper is certainly worthy of a special occasion. Flavored with onions, celery, green peppers, shallots, garlic, ground pepper, chives, and parsley, and thickened with flour, this recipe is not short on flavor or fill. Serve over a bed of hot, long-grain rice. This reader-submitted recipe from Cottonport, Louisiana, was shared with us by Elaine Jeansonne, an obvious master at Southern cooking. In the South, we love a creamy casserole. In Southern Louisiana, this holds as true – especially when that rich, creamy casserole has crawfish in it. This hearty seafood casserole is filled with shrimp, cheese, and rice. It gets its spicy Cajun flair from okra, bell peppers, and cayenne pepper. It’s a great choice for a special occasion meal, or even for a quick weeknight supper – it only needs 20 minutes in the oven to achieve rich, bubbly, cheesy perfection. We also offer make-ahead and freezing instructions on this luscious Cajun shrimp casserole. There are countless ways to make a good gumbo, but chicken and sausage might be our favorite. Although we love seafood and we love okra, there’s something about the simplicity of cooked chicken and spicy sausage simmered in a homemade roux that’s pure comfort in a spoon. This classic recipe starts with a tradition roux made of flour and butter or oil. Then, add the Cajun “trinity” of seasonings – green bell pepper, celery, and onions – before stirring in the meat and other vegetables and spices. Serve this classic dish over long grain rice with a slice of toasted and buttered French bread. No Southern seafood meal is complete without hush puppies. We love corn bread, and we love fried food – what better combination than fried cornbread? Moreover, how can we possibly improve upon this classic appetizer? Dare we even try? Fans of Creole cooking know that everything gets better with the addition of shrimp, Creole seasoning, and okra (especially when it comes from your backyard garden). Combined with cornmeal mix and beer-battered, these shrimp and okra Creole hush puppies are worthy of trying. These favorite ingredients add classic Creole taste and texture to our favorite Southern appetizer. But be careful – these cornbread bites are really addictive. Juicy and fresh crab meat combines with red and green bell peppers, Old Bay seasoning, Worcestershire sauce, dry mustard, hot sauce, mayonnaise, and saltine cracker crumbs to make these crispy and flavorful crab cakes stand out at your Mardi Gras supper. Fresh, creamy, tangy Lemon Remoulade, perfect for a tangy salad dressing, brings out the bright and fresh seafood flavors and lightens up the hearty meal. Just before serving these hot crab cakes, toss a mixed salad of baby greens with a simple dressing of olive oil, salt, and pepper to taste. Place the crab cakes on top. If you are cooking for 2, refrigerate 4 of the crab cakes to cook the next night. Bring the taste of New Orleans to your table this summer with this tasty barbecue shrimp recipe. 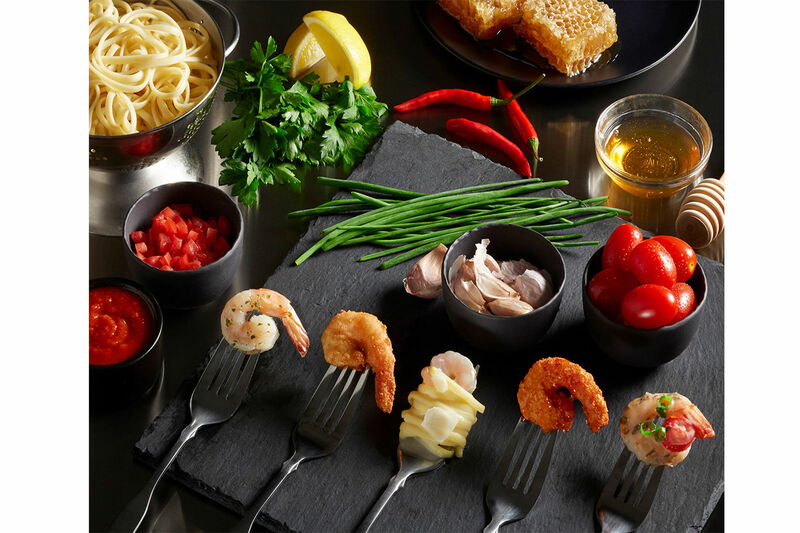 If you’re expecting traditional barbecue when you taste New Orleans Barbecued Shrimp, you’ll be surprised – there’s not a hint of brown-sugar, vinegar, or even mayonnaise in traditional New Orleans style barbecued shrimp. Instead, expect tender shrimp soaked in butter with a spicy kick from chili sauce, paprika, oregano, red pepper, and hot sauce. Also, expect to go through an entire roll (or two) of paper towels. Dip toasted French bread in the liquid and serve with a lemon wedge for a rich and indulgent Cajun dish. For a quick and easy Cajun dinner, try this simple Cajun-Seasoned Pan-Fried Tilapia recipe from Southern Living recipe developer Natalie Kelly Brown. Amp up the flavor of budget-friendly and protein packed tilapia filets with Cajun (or Creole) seasoning, dredge in a mixture of flour and yellow cornmeal, and pan-fry each Tilapia filet for a few minutes on each side. With a squeeze of lemon juice, these filets are lightly spicy, citrusy, and crispy for a delicious and easy weeknight dinner. Natalie likes to serve these delicious fish filets with sautéed sugar snap peas, potato wedges, and a roll of warm, crusty bread. King Cakes are a vibrant part of the Mardi Gras tradition in New Orleans, and across the entire state of Louisiana. As part of the state’s deeply Catholic faith, the cake represents the gifts given to baby Jesus. According to tradition, there is a plastic baby stuck into the cake before it is cut. Whoever gets the piece with the baby must buy the next King Cake. So, if you get the baby and don’t want to buy the cake (they can actually get pretty expensive), try making this basic recipe instead! This traditional Mardi Gras dessert recipe makes two King Cakes each topped with a creamy glaze and festive gold, purple, and yellow sugar sprinkles. Bananas Foster was invented in a New Orleans restaurant, and is still a favorite dessert in Louisiana and across the South today for its unmatched richness and sugar-sweet flavor. This recipe comes from John Alex Floyd, Jr., from Trussville, Alabama. Ripe bananas, butter and brown sugar combine over a high flame to form the basis of this rich and sweet dessert. Banana Liqueur and rum are added and then lit on fire to form the signature sweet glaze. The key to this delicious recipe is serving the hot bananas immediately over vanilla ice cream. To make serving quicker, scoop the ice cream prior to lighting the stove and store in the freezer. These flavorful red bans are absolutely mouthwatering served over a bed of hot, fluffy cooked white rice. 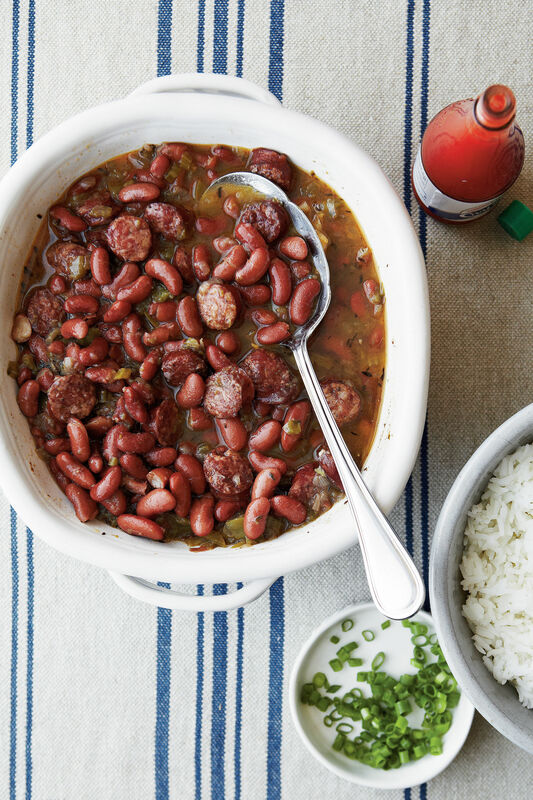 Packed with flavorful ingredients, these red beans are a Creole staple. While the dish’s main flavor comes from slow-simmering red kidney beans with spicy smoked sausage or Andouille, the flavor is especially brought out with the use of the Creole “trinity” – celery, bell peppers, and onions. Make sure you soak the beans for at eight hours prior to beginning to cook. With just a touch of sugar, this delicious dish is incredibly hearty and soul satisfying. Make a huge pot and freeze the leftovers – it’s an easy recipe to thaw and enjoy later! According to an age-old tradition, Red Beans and Rice are eaten on Mondays in Louisiana. If it’s Monday and you forgot to soak your beans overnight, but you are still craving the savory dish, then this recipe can be whipped up in your slow cooker with minimal effort while you complete your daily errands. Simply combine beans, sausage, celery, onions, garlic, Creole seasoning, and bell peppers in your slow cooker. Serve the savory mixture over a bed of hot rice. Garnish with parsley or onions, and make sure you set out the hot sauce! If you have leftovers, this recipe can be frozen and served again later.